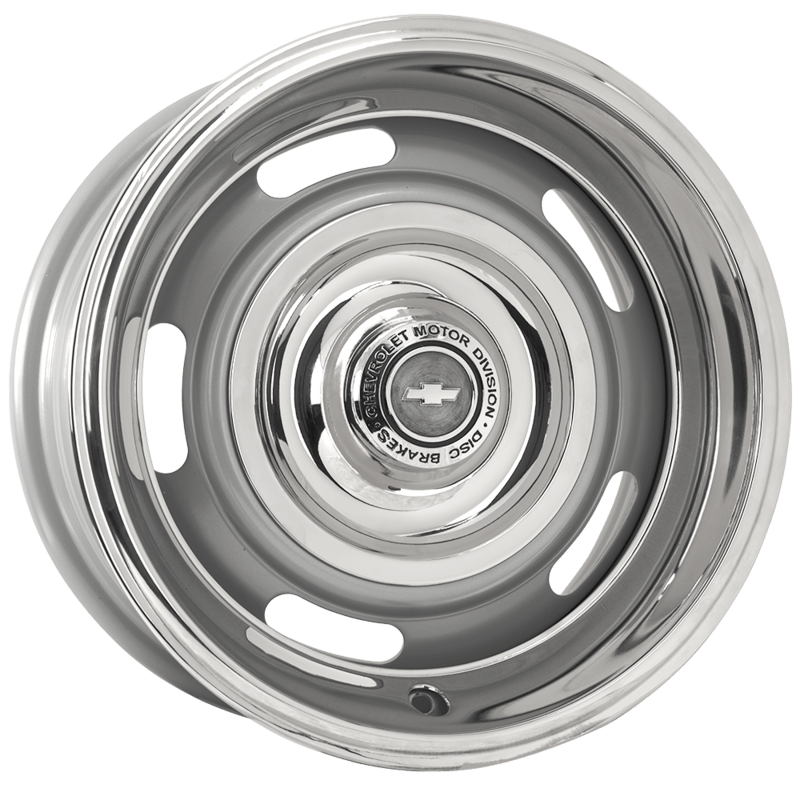 These Silver Chevrolet Rallye wheels are an excellent fitment for 1967 to 1982 Chevrolets. 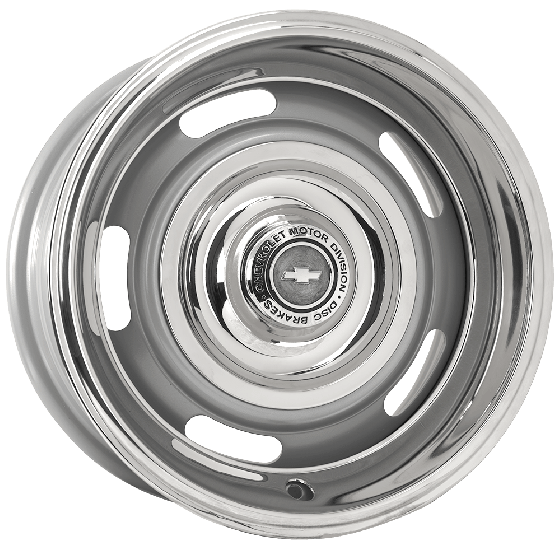 These silver powder coated wheels will add a nice finished look to your Chevy whether it's a Corvette, Camaro, or Chevelle. Corvette. 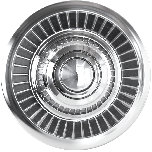 Chevy Rally Wheels have become hugely popular wheels over the years, not just on their original stock fitments, but on all kinds of hot rods, street rods and street machines. These popular wheels come in bolt patterns: 5 x 4 1/2, 5 x 4 3/4. 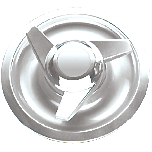 If you already have your OE GM hub caps or trim rings, they'll fit. 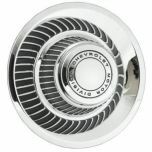 these wheels are also available in bright show quality chrome finish. 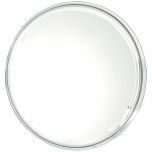 Baby Moon Cap for Rallye | 7 Inch Back I.D. 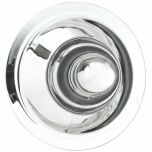 Bullet Cap | 3 1/2 Inch Tall | 7 Inch Back I.D. Chevrolet Bowtie Police Cap | 7 Inch Back I.D. 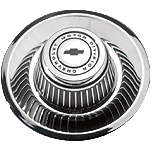 Chevrolet Derby Cap | Script & Bowtie | 7 Inch Back I.D. Chevrolet Short Derby Cap | 7 Inch Back I.D. 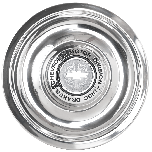 Chevrolet Derby Cap Non-Script | 7 Inch Back I.D. Chevrolet Derby Cap with Script | 7 Inch Back I.D. 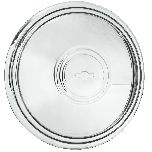 Chevrolet Disc Brake Cap | 7 Inch Back I.D. 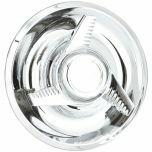 Knockoff Style Cap | Fluted Swept Passenger Side | 7 Inch Back I.D. Knockoff Style Cap | Smooth Swept Passenger Side | 7 Inch Back I.D.